With each year that passes, I find there are certain events in the British calendar which are starting to grow a bit stale. The culmination of the Premier League Football season for example, the build up to Christmas… no doubt you have your own mental list. However, the appearance of bluebells in our local Hertfordshire woodlands each spring has yet to lose its appeal. 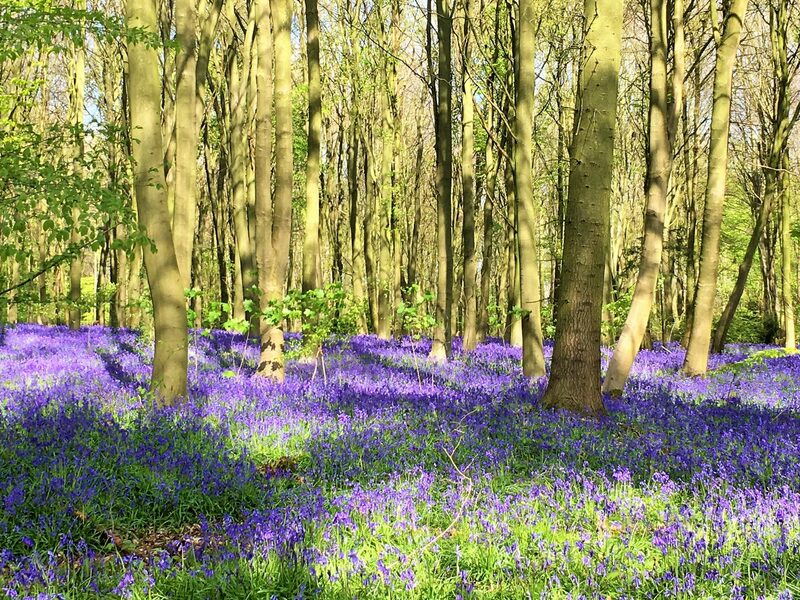 So, when is the best time to see bluebells in the British countryside? Well, the end of April and the start of May are pretty reliable for bluebell displays. Some years the blooms can be enjoyed in early April but with the particularly cold winter we have experienced in 2018, I would expect the bluebells this year to peak at the beginning of May and continue to look impressive for several weeks. 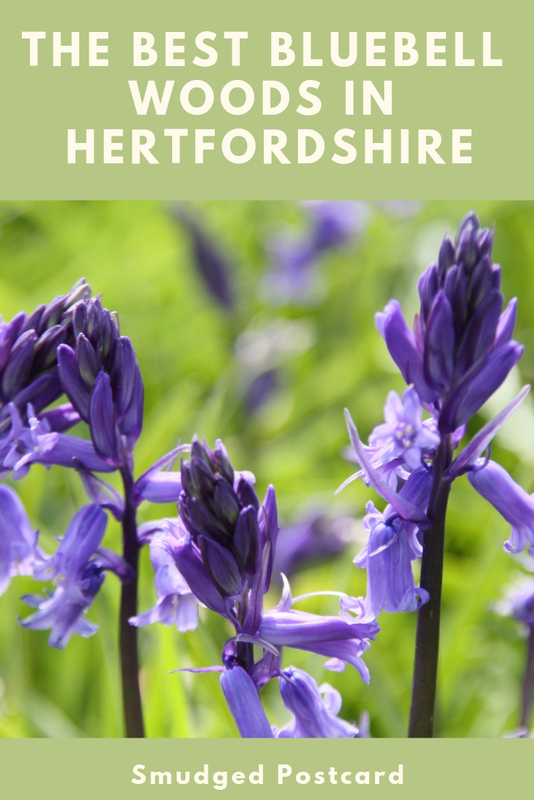 What follows are some of our favourite bluebell patches in Hertfordshire along with others we’re hoping to visit this year. Perhaps the most well known stretch of bluebells in Hertfordshire, the National Trust’s Ashridge Estate is a fantastic outdoor space. There are woodlands and meadows, plenty of wildlife plus a monument to climb and a cafe to refuel in. We visited Ashridge Estate in mid April several years ago, it must have been a mild winter as the bluebells were already in full bloom. 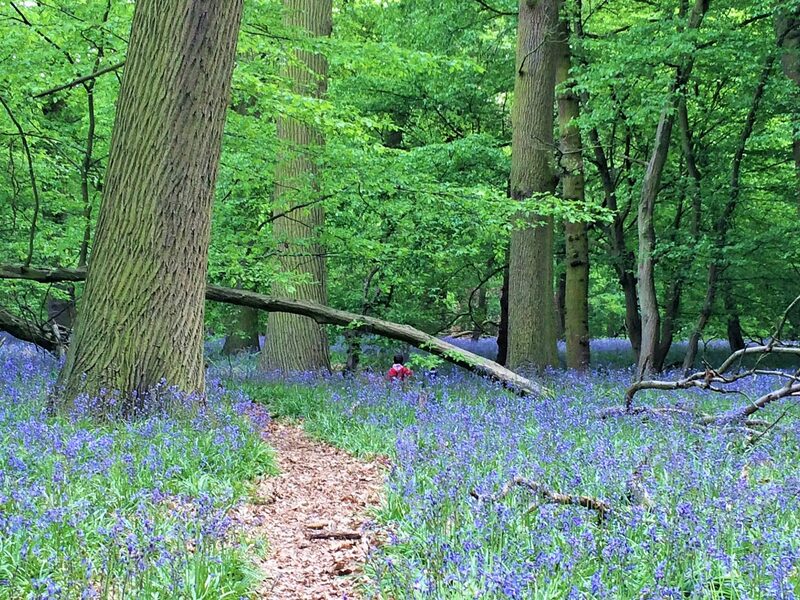 If a walk amid bluebells sounds a bit tame, the Watford 10k race is known as the “bluebell run”. 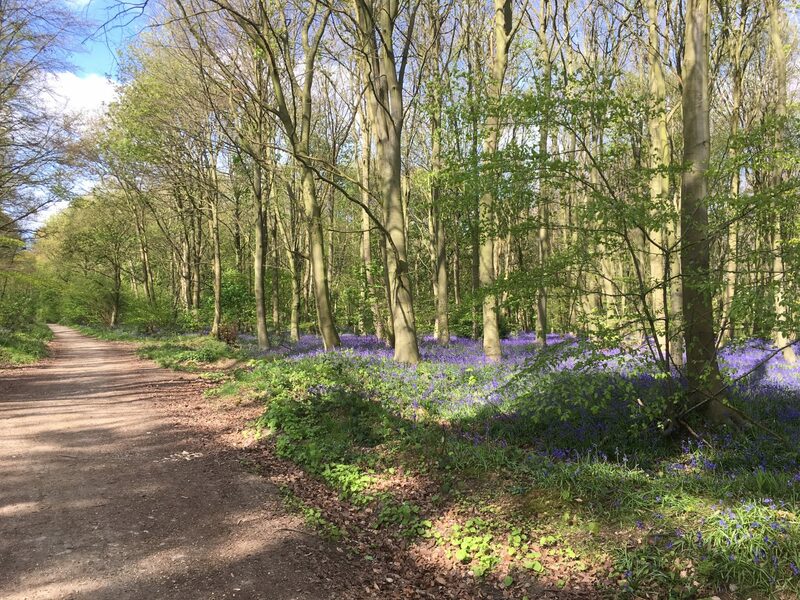 It takes in lovely Cassiobury Park (which features avenues of chestnut trees, a play area, cafe and bandstand) as well as the ancient woodland of Whippendell which will be carpeted with bluebells when the race takes place on the May Day bank holiday. Watford Junction is just 15 minutes train ride from London Euston. Part newly planted forest, part ancient woodland, Heartwood is a work in progress landscape which I’m keen to visit. 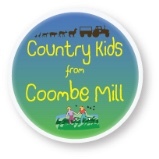 There is plenty to keep kids interested including marked trails for little legs, a natural playground and den building areas. 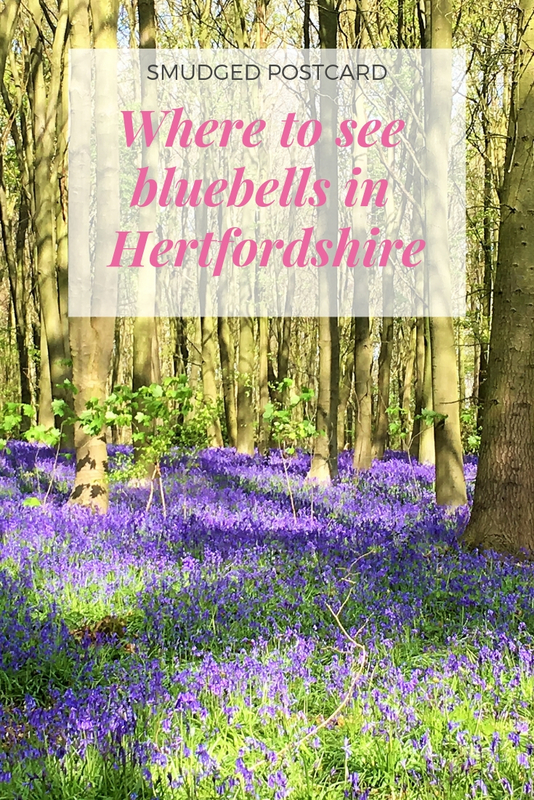 Easily accessible from Ware train station, this is a great location if you want a car-free bluebell fix. Ware itself has a great selection of eateries to recharge in after your walk. 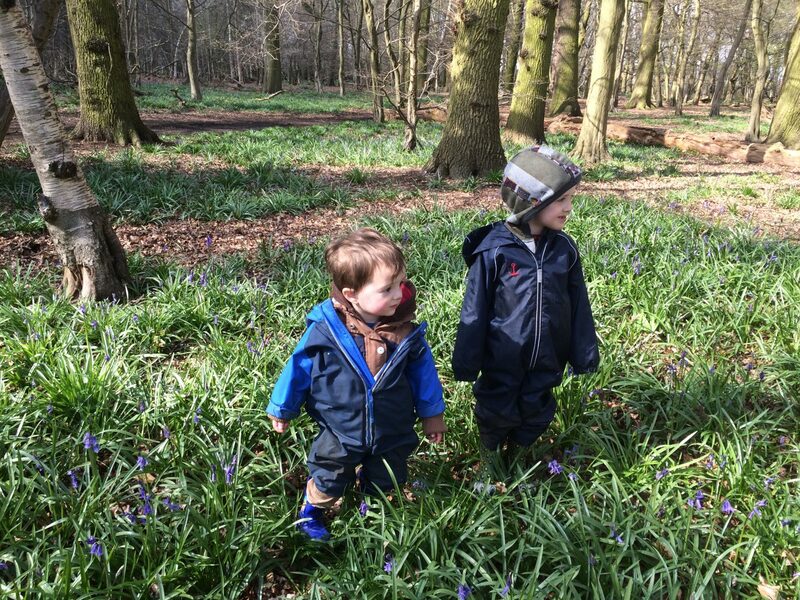 This was our first bluebell success story after moving to Hertfordshire and we return in all seasons as it’s such a great place to bring the children: bluebells, den building, an easy circular walk for youngsters and excellent blackberries come summer. 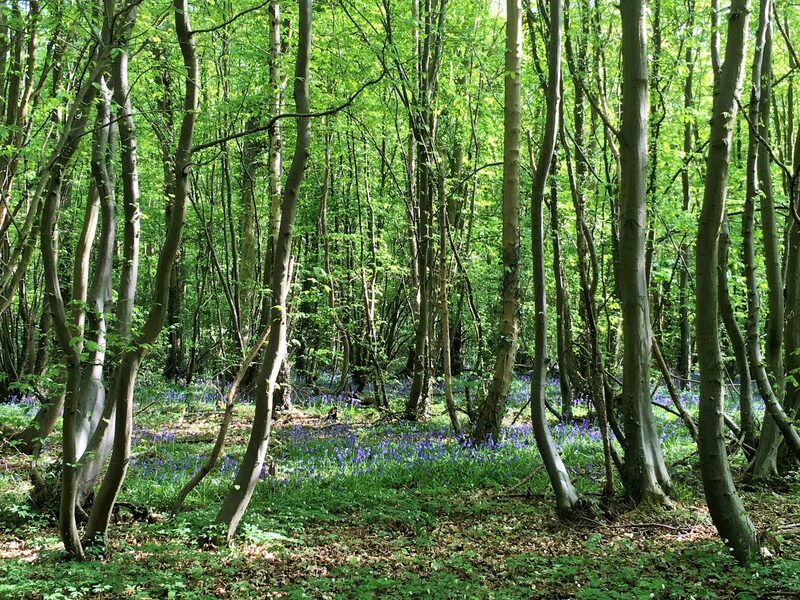 This is a particularly large woodland to get lost in, despite its location within walking distance of Welwyn Garden City town centre. Like Post Wood in Ware, this is a good option if you’re after a car-free bluebell day trip. Stevenage gets a bad rap but it has hidden gems of brilliance. We love the town’s museum and I’m looking forward to escaping the endless roundabouts and soulless shopping centres for a stroll amid the bluebells at this lovely sounding nature reserve. We’ve visited this wonderful woodland in autumn and winter but we’ve yet to visit in spring. 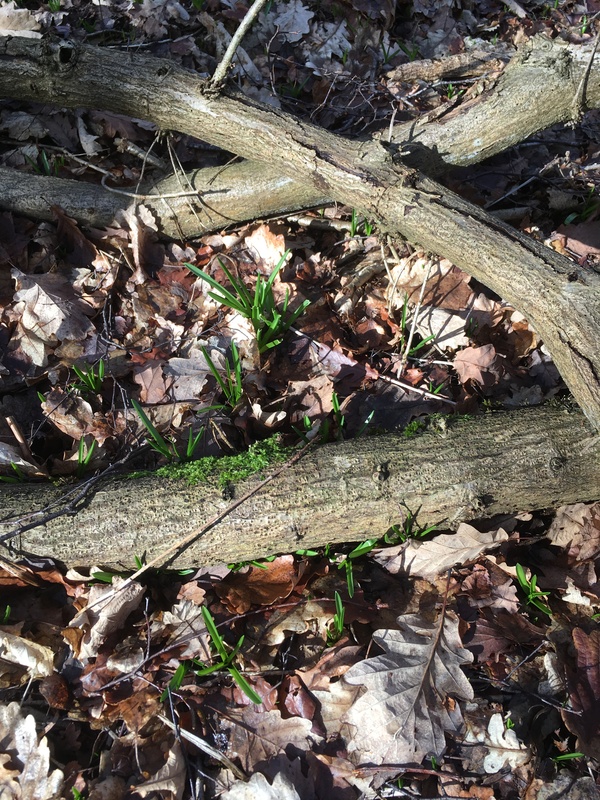 The forest floor at Mardley Heath had pockets of green shoots when we wandered through it in February so I have high hopes for a brilliant display in April and May. I’ve earmarked Tewin Orchard as a place to bring my boys when they’re a bit older to spy on badgers from the purpose built badger hides. At the moment the kids are too noisy for badgers to dare come close, so we’ll stick to the impressive bluebells in spring and the apple festival at the end of summer. This sounds like a really interesting spot with ponds, a canal network and meadows as well as a bluebell wood which has a one mile waymarked trail running through it. Brookmans Park train station is a 20 minute walk from the woods. This is a great spot for cycling or horse riding and it’s buggy-friendly too. There are pathways running from Watton at Stone to Datchworth and each village has some good pubs if you need a pit stop. Otherwise, picnic amid the beautiful bluebells. 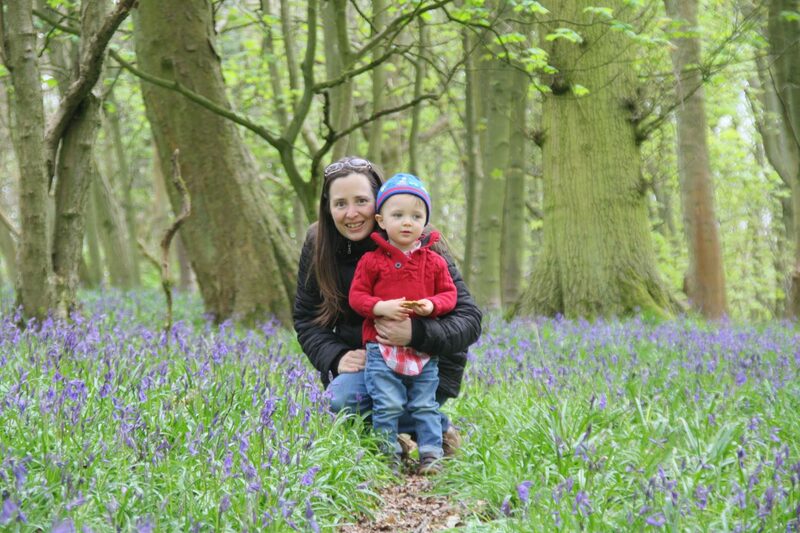 We go to see the blue bells in Ashridge forest every year for the last five years. I have not been to the one in Panshanger. I would love to see that. Thank you so much for your recommendation. Glad it’s close enough for you to get to! Thanks for these – I don’t think I’ve seen bluebells in any of these places, and it’s good to know where you can consistently find them. I was in Highgate Wood the other day, and hoped to spot some there, but you’re right about them blooming a tad later this year. There were none to be seen, anywhere! Yes, really late. I normally drive past a patch every day and there’s no sign yet. But spring is coming this week! Good reason to return, just make sure you get a long weather forecast before you book your flight! Hope you get to see some, they should be around for a while yet. I have a group hike coming up the first week of May, which “promises” a bluebell wood. That is in the Low Weald of Kent, the hike goes from Staplehurst to Headcorn. (No kids on that hike, it’s with a women’s group.) I also have seen a nice stretch of bluebells in the woodland area of Kew Gardens, so if you are in London, you might see them there. 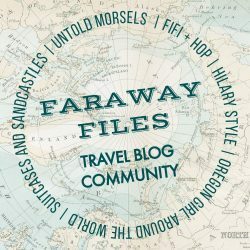 Thanks for the list, the photos are great! I’d love to visit Kew with my kids but we never manage as it’s the wrong side of London. Really must make the effort! The Kent countryside is lovely, I’m sure you’ll have a wonderful walk. That’s good to know, we might be passing by Tetbury in a couple of weeks. The ones around here have literally just appeared in the last couple of days! I’m looking forward to lots of walks after school this week! I remember marveling at the bluebells in Ashridge Forest when I lived in Hertfordshire. It feels along time ago now though. we have bluebells here on the farm in the woods and they are all behind this year thanks to the cold spring.However the last 4 days is working wonders for bringing things along and I hope to be sharing ours soon too. Enjoy all the lovely bluebells around you this spring. Yes, our woods have literally changed colour in the last couple of days, such a great sight now! I have to admit we had never seen any round here until we got our dog approx 2 years ago and then we started walking her in the local woods and the place is beautiful with them. Great that they are thriving in so many places down near you. What a great idea to do a list! I love seeing bluebells although I always get a bit disheartened when I see people trample over them to get a photo or let their children pick handfuls of them. Such a shame that they don’t just leave them for other people to enjoy. My friend lives that way and sends me loads of pics of the bluebells every year! It looks so precious. Now that is a comprehensive list of Hertfordshire woodlands fit for any season. Gotta love the bluebells too. Hope it doesn’t make you too homesick for Stevenage! Hope your springtime arrives soon! Thanks. Yes, it’s one of my favourite times of year! I bet there’s some lovely ones in Devon! Always good to support the underdog! Thanks! I’ll look out for yours. My aunt used to live near Welwyn Garden City – I should have hunted out some of these fantastic woods when I used to visit. 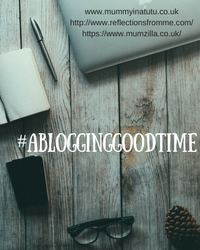 I wonder if there are any bluebell woods near me in Lincolnshire – I’ll have to check! You’ve reminded me I really want to visit Lincoln so let me know if I can take in some woods as well as the city! We went for a bluebell wander thousand weekend, they’re just starting to turn so you’d better be quick! We’ve been admiring some bluebells in west Wales this weekend and that, of course, is no bad thing. The Watford 10K sounds like my sort of run and is pretty much why I love trail running as opposed to pavement bashing – the natural beauty of the landscape always makes it appear less painful. 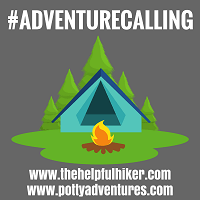 Thanks for joining us on #adventurecalling. We’ll be back open the in the morning for more posts. I have great memories of the bluebells on the Pembrokeshire coast, would love to go back there!